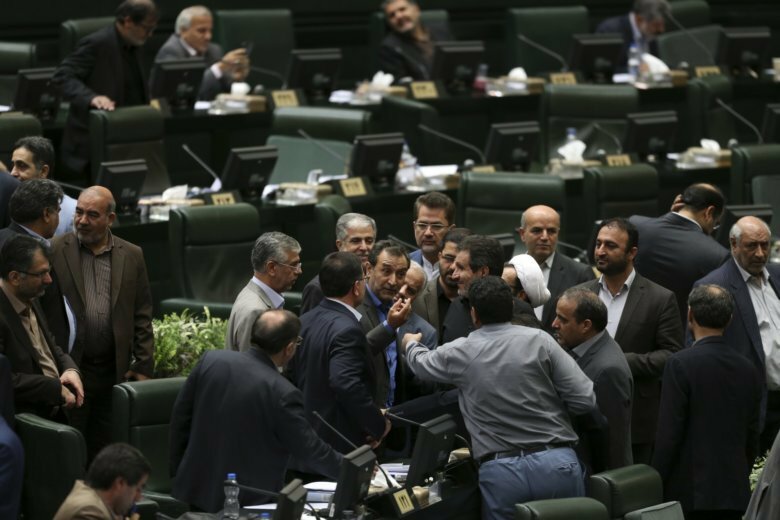 TEHRAN, Iran (AP) — Iran’s parliament voted Sunday to join a global convention to cut off terror financing, hoping to avoid further international sanctions as the 2015 nuclear accord unravels. Iran has long provided support to the Lebanese Hezbollah militant group as well as Palestinian armed groups, which Western countries view as terrorist organizations. Joining the CFT is unlikely to prevent Iran from continuing to support such groups. President Donald Trump withdrew the U.S. from the nuclear deal with world powers in May and has vowed to ramp up sanctions unless Iran dramatically changes its policies, including halting its support for regional militant groups. By joining the CFT, Iran would be required to comply with some ideas offered by the Financial Action Task Force, an intergovernmental organization that targets money laundering around the world. After Sept. 11, the body increasingly offered ideas on how to combat terror funding. Hard-liners in Iran opposed the bill, saying it would erode the country’s sovereignty, and hundreds of hard-line students protested the bill outside parliament on Sunday. Others saw the bill as a positive gesture toward European countries as they try to salvage the nuclear accord. Foreign Minister Mohammad Javad Zarif called Sunday’s vote a “historic decision” that would make it easier for Russia and China — which also signed the nuclear accord — to continue doing business with Iran as the U.S. restores sanctions.